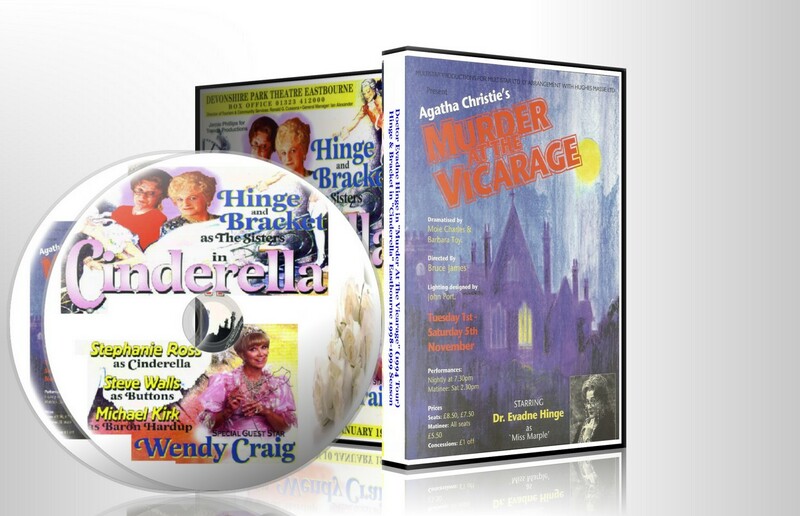 George Logan interviewed in Buxton 2004 at the "Hinge & Bracket Weekend"
Dame Hilda Bracket on "It's Nearly Saturday"
Dame Hilda Bracket on "Daytime UK"
Dame Hilda Bracket & Patrick Fyffe on "This Is Your Life - Sue Nicholls"
All starring Hinge & Bracket unless otherwise stated. Hinge & Bracket Present "Tea & Trumpets"
Dame Hilda Bracket in "Celebrity Squares"
Doctor Evadne Hinge on "You Bet!" 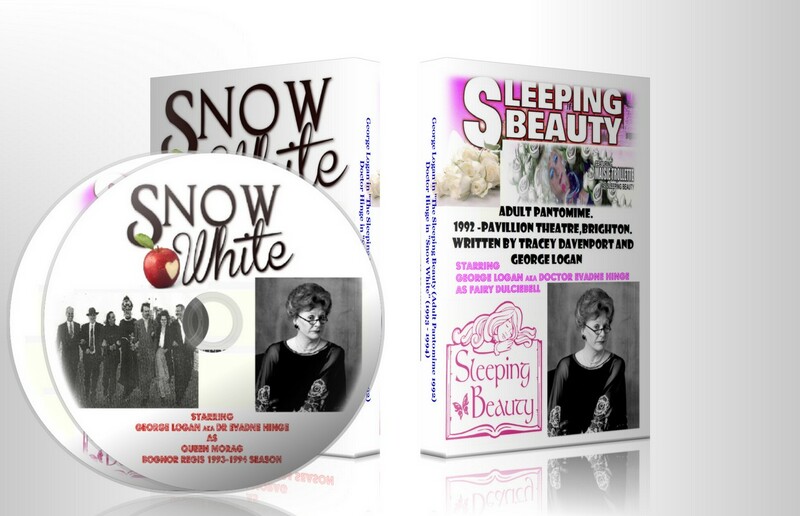 Fan Favourite Clips shown at the evening "Do"
A Sing-A-Long Evening with George Logan & Christopher Underwood & Guests. Dame Hilda Bracket on "Surprise Surprise"
2. 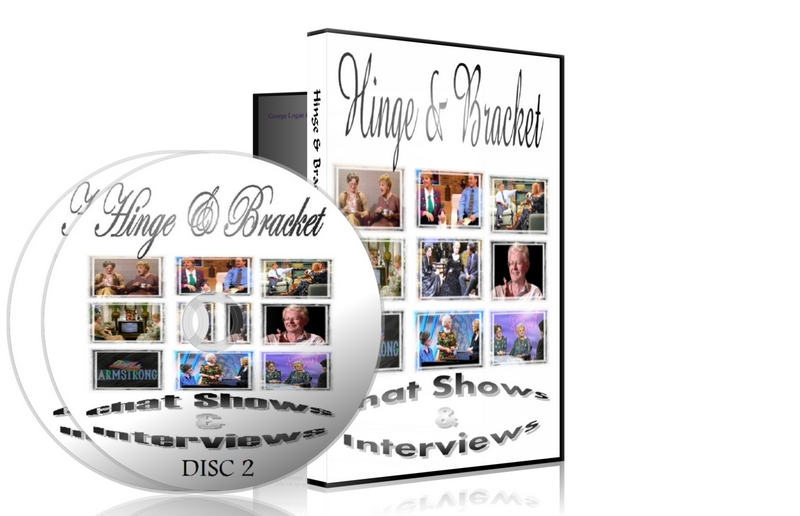 Hinge & Bracket on "Les Dawson & Friends"
3. All 5 "Emva Cream Adverts"
4. A Clip from Channel 5's "Britain's Best Loved Double Acts"
5. Hilda Interviewed on Thames News: "Showbiz Tonight" starring In "The Mikado"
6. Thames News Interview & Clip of "The Importance of being Earnest"
7. "Wogan" Excerpt from "The Importance of being Earnest"
8. "Granada Reports" - Interview with The Ladies over Tea. 12. Paul Dunford & Paul Bishop Lipsync "The Cat Duet"